Starting out as a small-scale producer in 2000 in response to the ever-growing need for quality products, our agricultural group has grown by leaps and bounds and currently aims to become Sudan’s leading agricultural land development and production Company by 2020. Operating on a model that prioritizes excellence and sustainability, the group contributes not only to the prosperity of our partners and employees but also to that of our customers and suppliers. As one of the largest owners of productive farmland in Sudan, we own more than 200,000 feddans dedicated to the production of various agricultural products, including sesame, sorghum, wheat, sunflower, cotton, maize, and so much more. In order to ensure maximum productivity all-year-round, we have spared no expense in acquiring state of the art machinery required for various stages from land preparation to harvesting. Thanks to our comprehensive logistics structure, our operations have been streamlined to ensure maximum efficiency, from production all the way to final delivery. The Project is located in “Altite” 30KM South of Dongola the capital of Northern State. MOB Altite project is located over the Nubian Aquifer, the world’s largest water aquifer. The land is suitable to grow a variety of products such as alfalfa, wheat, corn, maize, watermelon seeds, peanuts and fruit trees. Having both a fertile land and technical expertise ensure that our products are of the highest quality and offer a high yield. Our wheat production reaches an average of one ton per feddan. The project is 35,000 feddan, and uses 50 Central Pivots type irrigation using vertical pumps from the largest underground water in the world. Preparations are made to install another 100 central pivot. The 3,000 feddan project has eighteen (18) Central Pivots irrigation system that uses horizontal pumps from nearby canals. The project produces green forage. The project is currently in production and exporting. The project is located at Abu Niaamah that lies on the western bank of the Blue Nile in Sinnar state. The location is about 450 km south of Khartoum and connected to the main network asphalt road and to the national railway network. The project is 35,000 feddan and mainly produces Cotton, which achieved record high yields in Sudan. In addition, we produce Sesame, Sorghum, and Maize and forages. Located in a rain-fed area, the project utilizes supplementary irrigation via vertical pumps from the Blue Nile River. Al Burgaig Project is a 4,000 feddans land located north of Dongola state with 25 central pivot irrigation system in installation. When complete the project will produce Potato and range of Beans and Fruits. This strategic project is 50,000 feddans that is currently under development. When completed the project will have 200 central pivots system irrigation installed to produce peanuts, fruits, vegetables and wheat. The group owns and operates number of agriculture projects in west oddurman, These projects mainly produce various citrus trees and fruits. The 7,000 Feddan Project is located 43Km from the center of Omdurman. Located in Khartoum state. The project produces fruits and vegetables. The farm is located 40 Km from the center of Omdurman. The project produces number of vegetables in state of the art greenhouses. Tomatoes and Cucumber are mainly grown. The Cotton Ginning Factory is located in Kassan in Sinnar state. The factory produces plume cotton as a primary product. The Ginning Factory has two cotton-processing units that boast an impressive capacity of 22 tons per hour. 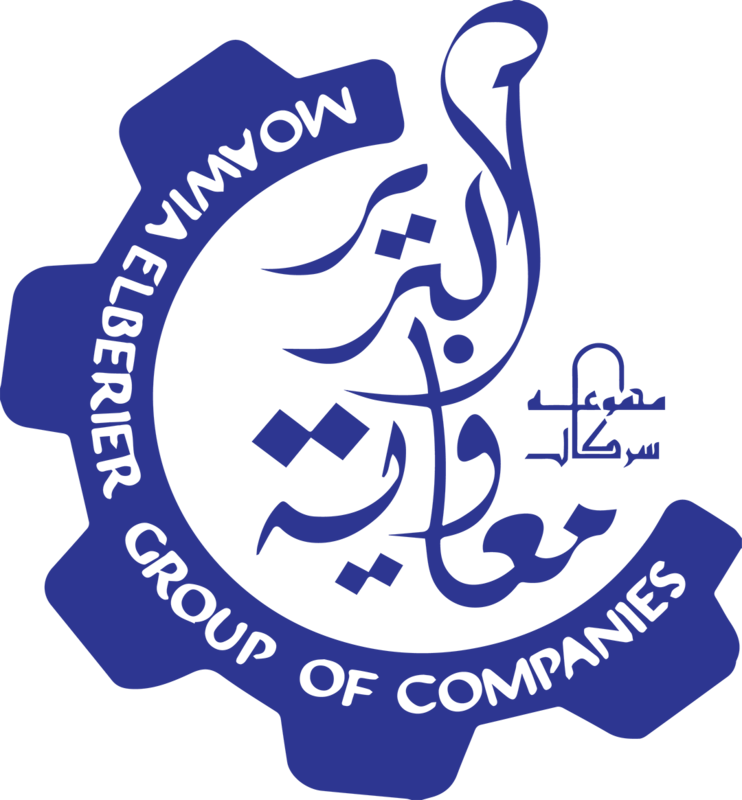 The factory is located at Moawia El Berier Group Industrial Complex in Al Bagair Industrial Area. The factory uses advanced machinery to produce cleaned hulled sesame in addition to Tahina G Tahniya. Sudan, producing (UHT) cow milk, yoghurt and juice. The facility operates to the highest international standards of health and hygiene. Located in the heart of Omdurman industrial Area, Al Aaelah Oil Mill has placed itself as a landmark in the milling industry, Cotton seeds are taken from our farmlands to produce oil. The residual cake is used as animal feed. The 1,300 feddan project is located in Khartoum State west Omdurman. The project has an Animal feed factory that is currently under development. When completed, the factory will be able to produce different types of animal feeds for cattle, sheep, and poultry.